What happened, is I cleaned off the top of these hills, got a better energy flow and water cycle, more water on the ground in the cycle, grew more forage, raised more stock, then I got into all of the principles of grazing management. Now I have streams that are flowing and we’re in the worst drought since the 1950’s. I have water, one of those goods and services, water, flowing out of canyons that 30 years ago were dry. From the extensive solar-powered, water pumping pipeline to the nationally recognized drought plan, Ted Alexander is a true innovator on the land. The case study is broken down into four parts, including a description of the operation, Water, Energy, and Progress. Read on for highlights or go straight to the full story here! The Alexander ranch covers roughly 7,000 acres of the Gyspsum Hills in Barber County, KS. Held by the same family for over 100 years, the ranch has seen many changes. Since his arrival in the 1980’s, Ted Alexander has made steady improvements to the land that have had far reaching impacts for the plants, wildlife, and watershed as a whole. Also known as the Red Hills, the Gypsum Hills comprise the largest remaining mixed grass contiguous prairie. However, much of the area is covered with the invasive Eastern Red Cedar. In 1984 when Ted moved out, he found an overgrazed, underutilized cedar forest with no water. The North side was 60-70% covered in Eastern Red Cedar with some areas between 80-90% covered. Of the 7,000 acres, roughly half was covered with cedar trees. In the absence of regular fires which historically regulated the trees, red cedars have spread across rangelands, creating a very different environment for plants and animals. NRCS estimated roughly 8 million acres had 50% of cedar canopy in 2002. The situation at the Alexander Ranch was similar across the area. Nearly 30 years ago, Ted Alexander did the first prescribed burn on his ranch and kept burning consistently in the following years. In 1985, he bought a tree saw and hired a local man to help with the eradication efforts. After six months straight of sawing cedars, they had removed roughly 90% of all the live cedar on the ranch. Clearing away the cedars allows the mixed grass prairie ecosystem to thrive; the land receives and retains more water. 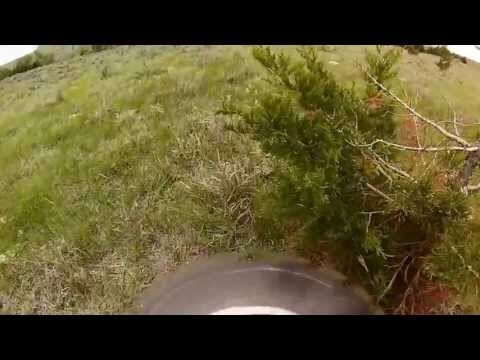 Cedar Tree Eradication. The connections happening on the Alexander Ranch impact the whole ecosystem. It doesn’t take much time with Ted to learn why cedar trees are so problematic – and how management of the invasive species impacts water and energy. In addition to "robbing” water from grasslands and streams, Eastern Red Cedar canopies also intercept precipitation. The impact of ERC on the water cycle really can’t be overstated, and Ted’s efforts to clear his 7,000 acres of the invasive species go far beyond his little patch of land. While Ted’s planning requires serious attention to detail, he is also a big thinker, seeing his property as part of the larger whole. Cedar tree eradication means more open space, better forage and more water on the land. While some might have sat on their laurels and called that "good,” not Ted. Switching to custom grazing and adopting intensive grazing practices also yield positive results on the ranch. Grazing. Intensive grazing requires livestock to be moved frequently with long recovery periods in each pasture after grazing periods. This allows the native grasses to grow back more vigorously, increasing the forage per acre and aids in the development of a thick layer of plant litter which impact soil water retention. Getting the water where it needs to go. The Alexander Ranch has an extensive water pipeline system to supply the livestock watering centers. This allows the acreage to be divided into more paddocks, improving the ability to move livestock more frequently. This system, coupled with a solar pumping station that will be discussed more fully in the Energy section, allows the Alexander’s to get the water where it needs to go. The 12 foot diameter (roughly 1,300 gallons) water tanks form a hub that serves as a center pivot, in a sense, for the grazing rotations. Additionally, Ted’s son Brian came up with the great idea to bury the water tanks. The buried tanks allow the cattle to drink in a way that is more natural to their body so it’s good for the cattle’s digestion. But the buried tanks also mean that the soil around the tank does not wear down resulting in a tank on a hill. Their innovative fencing system also reduces loitering around the water tank. Even with this extensive water system, they have plenty of backup in case of a failure. The paddocks are designed so there is always a secondary water source if the primary one fails. Drought Plan. While Ted and Brian have worked hard to restore water sources and manage the ones they have, Ted Alexander has also developed a nationally recognized drought plan. This drought plan is used in making land management decisions and in determining stocking rates and grazing patterns. The drought plan enabled him to maintain the health of the land during the current drought. Extensive record keeping and data collection has occurred since the 1980’s. Information collected includes pounds of forage per acre grown per year, livestock weight gain rates, and rainfall amounts. Again, this enables the Alexander’s to make better stocking decisions and change the drought plan as needed. Read more about the practices that save water! While Ted’s practices impact availability and quality of water sources, his management also impacts energy usage. Reaping the benefits of the flexibility of renewable energy, decreasing fuel costs with more fuel efficient vehicles to wise use of human energy, Ted’s got a lot going on that saves energy. Harnessing the Sun. As mentioned in the Water section, the extensive water pipeline is powered by a solar pumping station. Ted wanted to pump water to a holding tank but running an electric line was cost prohibitive. He explained, "the power company wanted $18,000 to put the power down there. Now it’s free. All I’ve got to do is go turn it on.” That’s a prime example of energy independence, to be sure. Of the five watering systems on the ranch, two are pressure fed and three are powered by solar. The solar systems are real powerhouses, pumping approximately 12 gallons a minute and 6,000 gallons of water per day. The solar fed systems hold between 10,000-18,000 gallons of reserve water. One solar pump delivers water to a tank on top of a hill, affectionately referred to as "Bob,” that holds 10,000 gallons of water that feeds out to all the other tanks. Fuel efficiency. The kicker about all of Ted’s innovations, is that they’re all so very logical. For instance, simply switching from a diesel truck to a Gator or Kubota dramatically cuts fuel costs from a truck that gets roughly 10-12 miles a gallon to a Kubota that uses a gallon every 2-3 hours. Human energy. Before Ted took the reins, it would take 14 cowboys, "hoopin’ and hollerin’” all day to round up 150 cows. Always looking for a more efficient way to operate, Ted was excited to try out intensive grazing as a way to simplify the amount of human energy required. He took 1300 acres and divided it into 8 paddocks and then 30 and now they're up to 72 paddocks. Within a pretty short time, Ted was running the ranch by himself with his trusty dog, Buck, helping out. Together with his son Brian, they are now able to move 275 cows in less than an hour. There's so much more to the Energy Savings! Read on! The successes, as well as the setbacks, of the Alexander Ranch result from a different way of thinking. Ted Alexander is not afraid to try new things and learn from his own mistakes. Keeping track of those mistakes, as well as all the other details that impact his operation, is a primary factor in the continuous progress and improvements on his ranch. His broad, wide-open thinking allows him to see the various different roles he plays in the larger community, from caretaker of the whole watershed to used-sunlight salesman, Ted’s excitement for learning and sharing knowledge is contagious and has had far-reaching impacts. Landscape sculptor. Ted takes a wide-angled view of the ranching operation, sculpting the landscape to increase the health and potential of the whole system. Even after just a few minutes visiting with him about his practices, it’s pretty clear that he loves what he does. he says, "I make art. I‘m in the process of turning sunlight into protein. It’s not the animal I’m after, it’s the concept, the process. It’s an ever-evolving and honing. I love the process." While his practices save water, save energy, improve profit, and improve the soil, there are so many additional benefits that not all can be covered here but fortunately, quite a few experts have chimed in to support this case study. 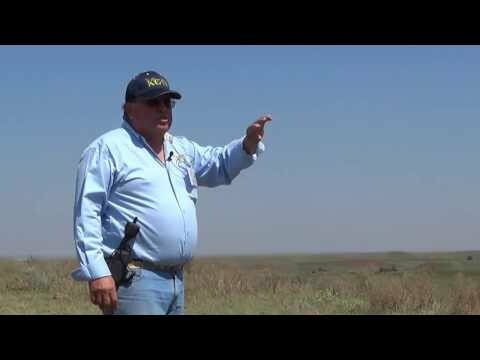 Be sure to check out the blogs by David Kraft with NRCS, Ken Brunson of The Nature Conservancy’s, Tim Christian with the Kansas Grazing Lands Coalition and Greg Kramos of US FIsh and Wildlife Service. Ranching for Profit. It’s not all fun and games, though, and much of Ted’s hard work looks more like an office job than life out on the range. His tenacious attention to detail coupled with a keen business sense changes the gameplan. Heavily influenced by Ranching for Profit workshops and Principles of Grazing Management, Ted is a no-nonsense businessman who is maximizing potential. Resilience. The record keeping, planning, and details, details, details, may seem rigid, but the system has a lot of wiggle room. The drought plan coupled with the grazing plan look to both the good times and the bad, managing for the extremes. David Kraft, NRCS, explained "Ted wants the plant community to survive, persist and improve during the drought. He is a producer who says, "I want to protect the plant community and do the right thing.”’ The practices at the Alexander Ranch have progress woven into the very fiber, looking towards the future, preparing for the worst, while hoping for the best. This flexibility allows him to take into account the big picture and adjust accordingly. Community. The innovative approach to ranching by both Ted and his son, Brian, take into account the impacts of their actions on the plants and animals on their own ranch, the overall effects on the watershed and region, but their willingness to talk about their practices and openness to new ideas also impact the larger human community. Ted is quick to credit the many partners who have helped him over the years and many of these same people are eager to explain the ways Ted has helped them. The list of partners is extensive: US Fish and Wildlife Partner Program, Natural Resources Conservation Service, The Nature Conservancy, the Kansas Grazing Lands Coalition, Ranch Management Consultants (Ranching for Profit), Natural Resource Conservation Service EQUP, Kansas Dept of Wildlife, Fish and Tourism, Partners for Conservation, the Comanche Pool Prairie Resource Foundation, National Wild Turkey Federation, Barber County Conservation District and the Watershed Institute, and many more. If at first you don’t succeed, pay better attention to the details. A visit with Ted Alexander results in lots of laughter and a good deal of wisdom, humbly related. Like any true innovator, Ted is not afraid to fail and is comfortable laughing at his mishaps, but he is always looking for new things to try and ways to improve upon existing practices. Being the one of the first to implement any new technology can result in many unexpected hangups, but Ted sees opportunities for learning. He told a story from the early days of electric fencing which illustrates this point well. One time, I had this high tensile electric fence. I spent quite a lot of time putting it up and it broke within the first time I grazed it. I had these giant slinkies because high tensile wire coils back up. I’ve had wrecks happen. But I’ve always gone back and analyzed them. You know who it always comes back to that was the instigator of the wreck? Me? Because there was something I didn’t do professionally enough or I didn’t take care of details enough…details. The details. I’ve done a lot of things that didn’t work. I’ve done a lot of things that did work. You go, "what went well? What could have gone better? Well, if you did that, maybe it could have gone better! I’m still learning. That’s what keeps life exciting for me! Today is a new day and you can learn something. Still wishing for more? Read the full story here. Ken Brunson of the Nature Conservancy discusses the Red Hills Initiative and the impacts Ted Alexander's practices have on wildlife. 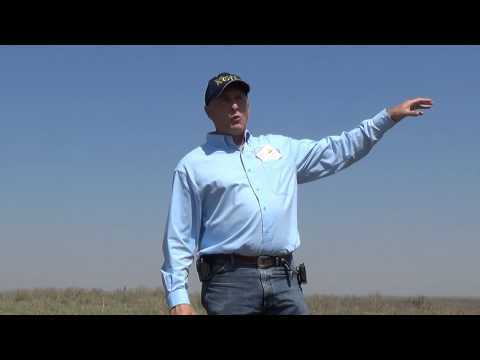 David Kraft, NRCS State Rangeland Management Specialist, explains the benefits of intensive grazing and rangeland management as seen on the Alexander Ranch.